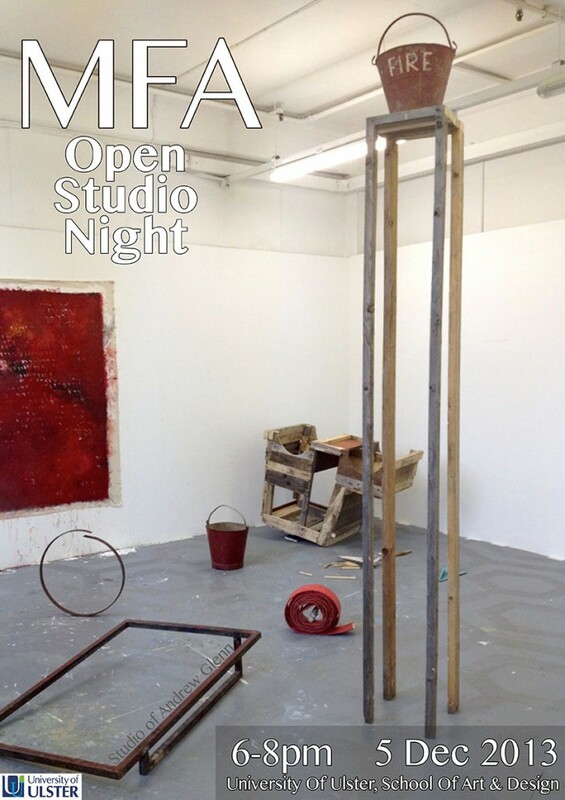 Thursday 5th December, 6 – 8 pm. University of Ulster School of Art and Design, York Street, Belfast. The MFA is a supportive network of developing, contemporary artists working across a broad range of practices including painting, drawing, lens based, sculpture, installation, performance and public art. Its flexibility enables individual, collaborative and participatory approaches in an expanded context of contemporary art . The artists will be present during the evening. This is a great opportunity to meet them and see into the life of the MFA studios.